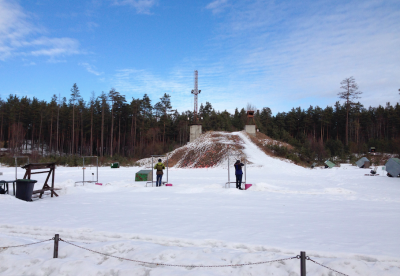 Latvia is about to introduce the European Union directive on firearms. It’s a rule which, among others, sets a tighter gun control in Europe after it suffered a number of terrorist attacks in recent years. Though Latvia has been lagging behind in adapting the EU regulation, the country’s lawmakers are actually keen to soften its own national laws on gun use. The parliamentarians want to allow sixteen-year-olds to use shotguns in hunting. But as Ģederts Ģelzis reports from Riga, there are many who oppose the idea. 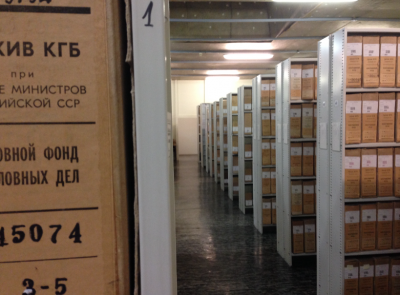 27 years after regaining independence, Latvia is to start publishing online, files of former agents who worked for the KGB, the Soviet secret police. The agents were informants, mostly ordinary people, who secretly snooped on their fellow countrymen and women. But some fear that publishing the previously confidential KGB files will cause a rift between Latvians. From Riga, Ģederts Ģelzis reports. The Latvian financial sector has taken a bit of a battering in recent weeks. Last month, anti-corruption agents detained the chief of the country’s Central Bank on suspicion of accepting a bribe. If that wasn’t a big enough shock, a few days later the United States announced a crackdown on Lativa’s third largest bank for money laundering. From Riga Ģederts Ģelzis has the details. 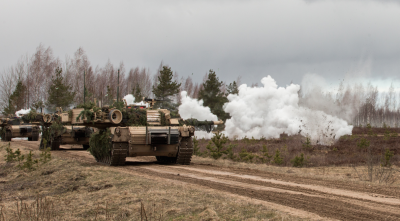 Latvia is gearing up to receive a multinational NATO combat battalion at the end of June. 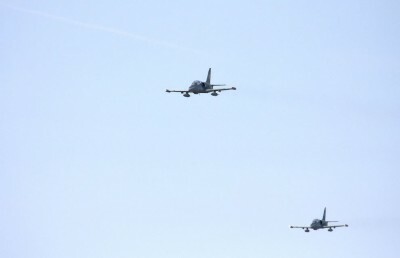 In order to deter any possible Russian aggression in the Baltic States, NATO decided last year to deploy four battalion-sized battle groups in each of the Baltic countries and in Poland. 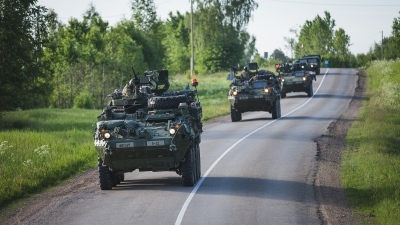 Latvia will play host to around a thousand soldier strong Canadian-led battalion that will be deployed at a military base in a town not far from the capital. As Ģederts Ģelzis reports from Riga, both the military and the municipality are scrambling to adjust to the upcoming influx of foreign soldiers. 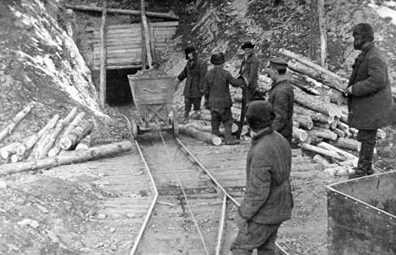 For the first time, a Latvian film has been produced showing the mass deportation of its people to Siberia during Soviet times. It's called "The Chronicles of Melanie" and it's just opened in cinemas there. The film depicts one of of the darkest and most painful periods in the country's history, just after the Soviet Union annexed it at the beginning of the Second World War. The film's been long awaited by many Latvians, given that more than seventy years have passed since the deportations got underway. From Riga Ģederts Ģelzis reports. The Latvian cabinet has given the green light to a bill that would crack down on schoolteachers who are considered disloyal. Under the proposed law, teachers who don’t support the country, its constitution or are seen to pose a risk to the education of pupils and the state's security are to be immediately sacked. The measures are mainly aimed at teachers at some Russian-speaking minority schools in order to shield peoples from Moscow’s attempt to influence Latvia’s education system. But as Ģederts Ģelzis reports from Riga, there are concerns that the bill is a step towards restricting diversity of opinion in Latvian schools. Around 2,000 delegates from the 28 members of NATO have been meeting in Warsaw amidst rising tensions between the alliance and Russia. The Baltic states all have sizeable Russian-speaking minorities -especially Latvia. And that's added to concern that this region could be a possible flashpoint. But relations between the Latvians and Russian speakers are far from fragile and have a long history. 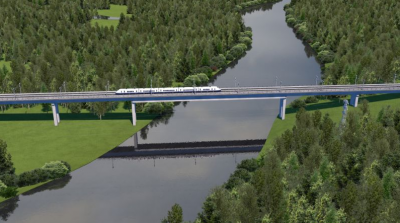 Latvia, Lithuania and Estonia are getting ready to begin construction on their largest infrastructure project since all three countries gained independence at the beginning of the '90's. 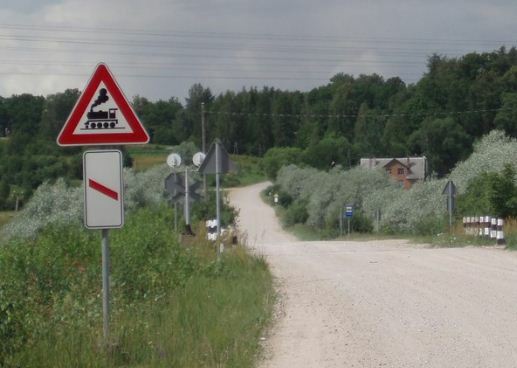 Rail Baltica is a high-speed railway which will connect the Baltic states to Warsaw and possibly extend to Helsinki too. At the beginning of February, Latvia took in its first asylum seekers - two families from Syria and Eritrea. 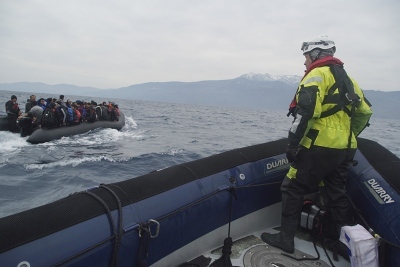 Over the next couple of years, Latvia will shelter more than 500 refugees who will be relocated from Greece and Italy. But as Ģederts Ģelzis reports from Riga, the country offers challenges for people taking refuge there. 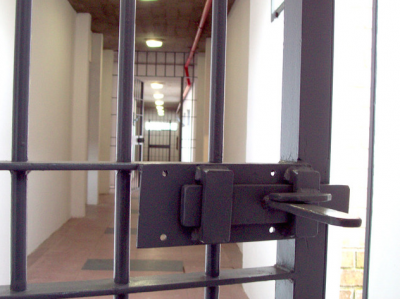 In Latvia, some are queuing to spend time in jail and choosing to be locked up. Not for crimes they've committed though, but to remember the country's Communist past. It's 24 years since Latvia became independent after the collapse of the Soviet Union. And an old military prison in Karosta, by the Baltic Sea, has opened its cells to the general public in order to keep that past alive. Many in the Baltic States are taking a hard line on Athens. Estonia, Latvia and Lithuania are all fairly new members of the eurozone. The Baltics, particularly Latvia, have paid a heavy price for joining the eurozone after emerging from deep recession caused by the financial crisis. Their economies are performing again. And as Ģederts Ģelzis reports from Riga, there isn't much sympathy for Greece. Latvia is about to become the first former Soviet country to host Europride. Europe's highest profile gay pride event takes place almost every year in a different European country. The festival will conclude with a parade through the streets of Latvia's capital. 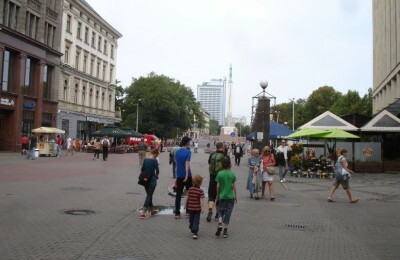 But as Gederts Gelzis reports from Riga, most Latvians are not happy about hosting Europride. Latvians are increasingly concerned about the country’s worsening demographic situation. The population has decreased from around 2.4 million to just below 2 million over the past 15 years. Now, in a bid to tackle the problem, local politicians are proposing a controversial solution: restricting abortion. But that's sparked fierce opposition. Ģederts Ģelzis reports. 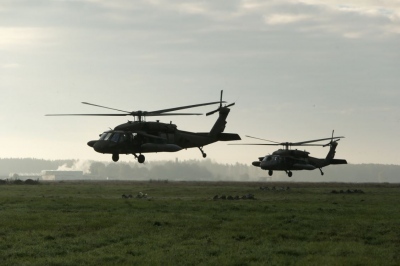 NATO has ordered the creation of command-and-control centers in the capitals of the Baltic states. 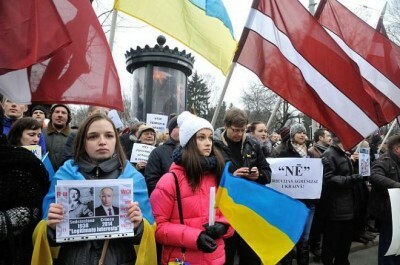 Estonians, Latvians and Lithuanians are watching events in Ukraine with concern. 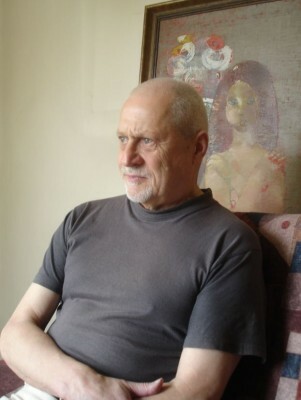 Neil King speaks to Riga correspondent Gederts Gelzis and first asks him how Latvians feel about the potential threat posed by their Russian neighbours. 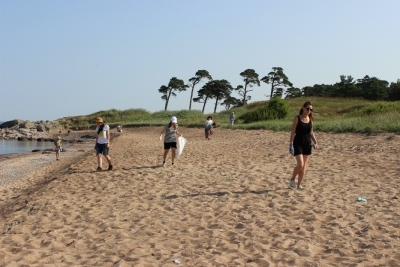 Environmentalist Uldis Mors organizes group expeditions along Latvia's Baltic Sea coastline. He hopes to raise awareness about the level of pollution in the sea, and persuade the public that the local marine ecosystem is worth protecting. 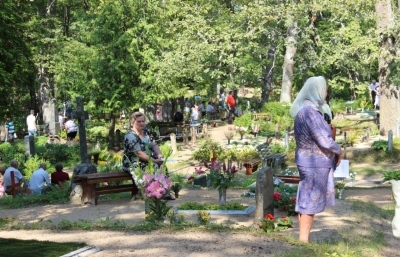 Between June and September, thousands of Latvians attend so called cemetery celebrations where they commemorate their dead and meet relatives and friends. Now, a team of Latvian researchers has published the first study about these celebrations which date back to the 19th century. And they believe the tradition is unique in Europe. Ģederts Ģelzis reports from the east of the country. In a recent poll, just 12 per cent of Latvians say climate change should be a priority for the government. The number of people who put climate protection above swift economic growth for their country has almost halved in the past seven years. But there are some Latvians trying motivate the rest. With the continuing crisis in Ukraine, the Baltic states have been, perhaps, understandably nervous because of their proximity to and past history with Russia. NATO may have reinforced Latvia’s defences, but Russia still holds sway in Latvia through a large Russian speaking minority. Now, a new report published by the Latvian Security Police says that Russia’s compatriot policy, an official programme created by the Kremlin to support the Russian diaspora, is playin a key role in attempts to destabilise the country. According to the Latvian security service, the Kremlin is actually working hand in glove with local pro-Russian NGOs behind the scenes to try to cause divisions in Latvian society. From Riga Ģederts Ģelzis reports. Riga, Latvia - On May 9, tens of thousands of people from the 550 thousand-strong Russian minority in Latvia flocked to the Monument of Victory in Riga – a Soviet-era memorial located not far from the centre of the capital. Many of them waved Russia's flags, wore St George ribbons and brought flowers to adorn the near-80-metre-high concrete pillar. Russian music played at the Riga memorial, in this former Soviet republic of some two million people – and policemen kept an eye on crowds drinking, chatting and commemorating the Soviet defeat of the Nazis during the Second World War. "It is a very special day for many people whose fathers and grandfathers fought in the Soviet army during the war. The defeat of Nazis is a worldwide celebration," said Boriss Cilevics, a parliamentarian from the pro-Russian opposition party, the Harmony Centre. He said. "I have a special attitude towards the celebration because all of my father's family was exterminated during the Holocaust in Latvia. And, of course, practically all my family would have faced extermination if the Nazism gained victory." Cilevcis said that if the Nazis had won the war, then there wouldn't have been an independent Latvia today. But this year's celebration caused particular security concerns for police because of the deepening crisis in Ukraine and pro-Russian activists in Latvia. 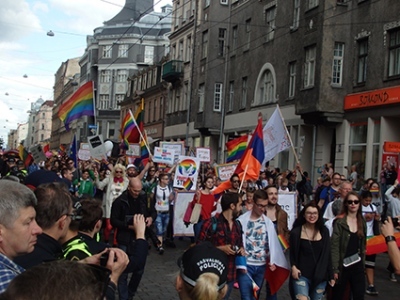 The Riga city council banned an NGO "Motherland" from organising its "March of Russian Latvia" from the old city to the memorial on Victory Day. Security police warned that this NGO sought to stir tensions between Latvians and Russians and to incite ethnic intolerance with their pro-Russian slogans and activities – and that the march might have posed a threat to public safety. It’s been 23 years now since Latvia regained its independence following the collapse of the Soviet Union back in 1991. 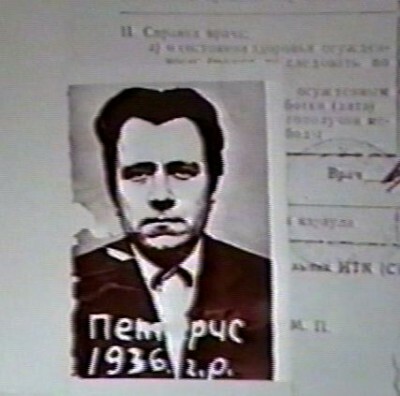 But names of people who collaborated with the notorious Soviet secret police or KGB are still kept secret in Latvia. Now, parliamentarians are preparing to vote on a new bill which would allow these secret KGB files to be published from 2018. It would be up to the government to decide how many of the documents are to be published. From Riga Ģederts Ģelzis reports. Russia’s actions in Ukraine has prompted a radical shake-up of how the Baltic States are thinking about their defence needs. 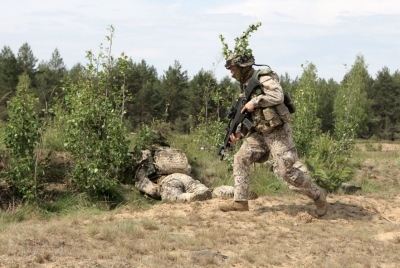 During the past few weeks, Latvian, Lithuanian and Estonian officials have been engaged in busy talks with their NATO allies about beefing up security in the region. Washington has confirmed its strong support for these countries which were under Soviet rule for half a century. But now Latvia and the other Baltic States want to have a larger presence of NATO’s armed forces there without fanning the flames of Russian militarism. From Riga Ģederts Ģelzis reports. Russia’s stance over against Ukraine has stirred strong emotions in the Baltic States. In Latvia, hundreds of people have taken to the streets over the past few weeks to express their outrage over Moscow’s action. Senior politicians and officials in Latvia have also condemned the Kremlin’s hostile behaviour towards a sovereign European state. Latvia is a member of the European Union and NATO. There are now calls to reinforce the country’s military defence and to decrease the influence of Russia’s media in the country. From Riga Ģederts Ģelzis reports. Latvia has been beefing up its cybersecurity. It’s recruiting its first team of voluntary cyber warriors who will become part of a special Cyber Defence Unit. It's part of the country's National Guard, a public self-defence organisation, which would help the country's armed forces in the event of any conflict. Unlike the real army, the cyber corps faces an invisible enemy. But as Ģederts Ģelzis reports from Riga, with Latvia preparing to take the presidency of the Council of the European Union next year, there are fears that a round of cyber warfare is already on the horizon. It's the cliché David and Goliath story - involving a Latvian teenager and an IT company, and their showdown has provoked a public uproar. 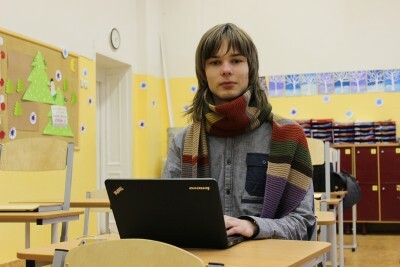 The 15-year-old student has developed a web browser extension for use with a school management system called "E-class". Now, the extension block ads on the "E-Class" website. But "E-class" says the extension fakes the site's content. They've even sent the lawyers round. 21st of November will go down as the most tragic day for Latvians in the past twenty years. During rush hour, the roof of a supermarket collapsed in Riga killing 54 people and injuring dozens more. The incident has caused shock among Latvians and shaken their faith in their country. After several days of mourning, an investigation was launched into the disaster, the Prime Minister of Latvia Valdis Dombrovskis made a surprise move and handed in his resignation. But not everyone thinks that it was the right thing to do. Latvia's prime minister has just resigned in the wake of a roof collapse in Riga in which 54 people were killed. Valdis Dombrovskis' resignation is an admission of indirect responsibility - the real whodunnit now begins. 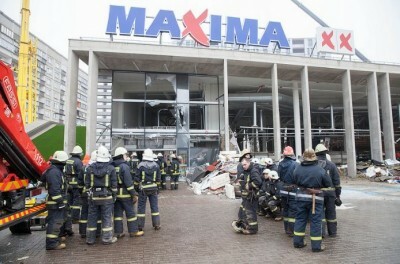 It was just another busy day at one of the chain supermarkets at a mall in the suburbs of Riga on November 21, when the rooftop of the Maxima store suddenly caved in, leaving 54 people dead and dozens injured. As the initial shock of those left behind gradually fades, the fallout of the incident is beginning to reverberate. In a completely unexpected move, on Wednesday, the prime minister resigned. Seemingly out of the blue. Valdis Dombrovskis, who was loved by the Latvian people, has apparently taken responsibility for what happened in this horrendous accident. Nobody saw this horror coming. When the news started trickling in, the details were scarce at best. A roof had collapsed in Zolitude, a suburb of Riga. Just a few casualties and some people wounded, the media initially reported. It was only the next day that the Latvian people were confronted with what really happened. The scene of the collapsed supermarket in daylight was devastating. Rescue workers were frantically trying to find survivors in the debris as the death toll kept climbing every hour. Eventually it stopped at 54 people. The nation was in shock. Hundreds of thousands of people were lighting candles and laying flowers near the collapsed store. There were lines of volunteers willing to donate blood in hospitals. And people raised more than half a million euros in donations for victims' families over just a few days. It was really moving to see so many Latvians, who are otherwise often preoccupied with their own concerns, unite in sympathy and willingness to help those in need. The nation was immersed in three days of mourning and a time of reflection. 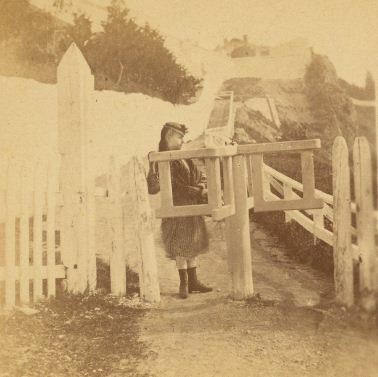 Gabriel Borrud contributed to this article. Hepatitis C is one of the most infectious diseases in the world, and can lead to liver failure and liver cancer. In Lativa, around 40,000 people suffer from it and they're struggling to pay for the drugs they need to combat the infection. According to the World Health Organisation, Latvia is the only country in the EU which doesn’t provide a fully publicly funded treatment of the disease. Though thousands of Latvians have signed a petition asking the government to pay for the complete therapy, the authorities refuse have refused to do so. As a result more and more infected Latvians are leaving the country as Ģederts Ģelzis explains from Riga. And finally today to the Baltic, where a Twitter war between a President and a New York Times columnist has resulted in an opera. It's been billed as the First Twitter opera after a row broke out about a year ago between the Estonian President Toomas Hendrik Ilves and the well known economist Paul Krugman. 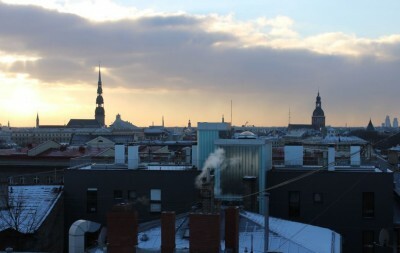 The argument on Twitter was about Estonia’s austerity policy and it attracted international attention. The opera it inspired, called "Nostra Culpa", which Latin for Our Fault, was first performed in Estonia back in spring. But it has just premiered in Latvia. 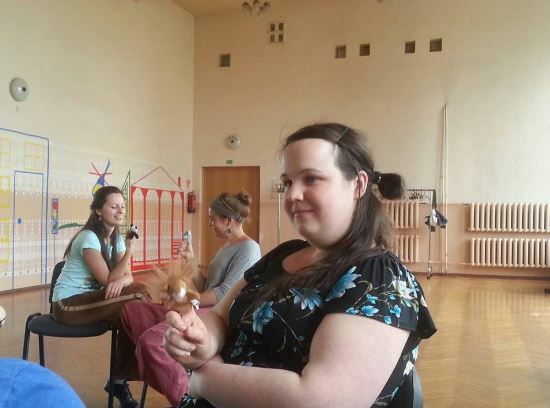 Our reporter in Riga, Ģederts Ģelzis, went along to find out more about making economics operatic. 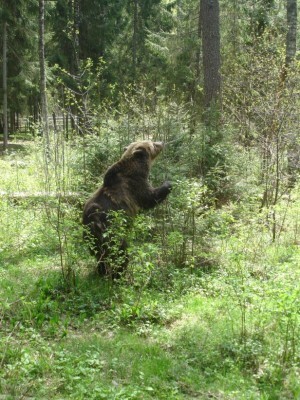 In Latvia, there are five official zoos throughout the country where people can learn about wild animals. But there are no official rehabilitation centres where animals such as foxes, elks, deer and others are being taken care of, for instance, after being hit by a car on a road or injured by a farming equipment. But that doesn’t mean they’re completely left hanging. There is one woman in Latvia who has made it her life mission to care for wild animals and to give them a safe haven. Our correspondent Ģederts Ģelzis went to meet the woman known as the mother of all animals in Latvia. 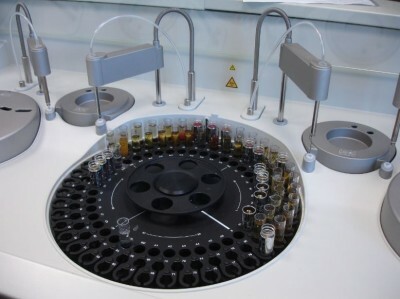 Latvia is one of the places in Europe where officials are most concerned about the high use of psychoactive substances among its young people. According to a study published in mid-September, almost every 11th youth uses so called "legal highs" in the country. This puts Latvia third behind Poland and Ireland for drug use. Though Latvian lawmakers are taking measures to prevent the trade of legal highs, some fear that the officials are missing the cause of the problem. It's been a bumper year for Latvia’s tourism industry. More than half a million people have visited the country so far this year. The tourists are mostly from Russia, Germany and neighbouring Estonia. But Latvia’s capital is also proving particularly popular among British men. Riga is apparently a favourative destination for stag parties. But as Gederts Gelzis reports from Riga, these stag tourists often get a bit more than they bargain for. The Latvian government has decided to extradite a Latvian hacker to the Unites States where he will stand trial. The Americans accuse the programmer of helping to create and spread one of the most financially destructive computer viruses in history. Over the past seven years the so called Gozi virus has affected millions of computers around the world, including those of NASA in the US. And it has caused losses of millions of dollars to individuals and businesses. But although the US accuses the hacker of serious cyber crimes, the request to extradite him has provoked angry reactions in Latvia. Latvia will become the 18th member of the eurozone on 1st January next year and the country is actively preparing for introduction of the single currency. At the same time though, there are fears that because of recent changes in tax laws, Latvia is becoming the new tax haven of the eurozone. With foreign deposits starting to increase, Ģederts Ģelzis in Riga puts the Latvian economy to the test. 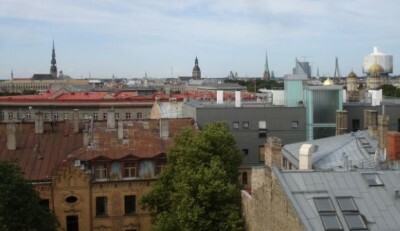 Latvia: 'The eurozone's new tax haven'? 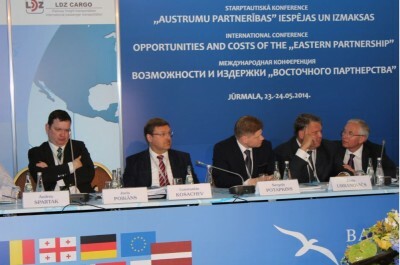 Latvia will enter the eurozone in 2014. It's already blasting its economy forward with new tax laws and encouraging investment. But some say this could be dangerous and the country risks becoming "the new Cyprus." 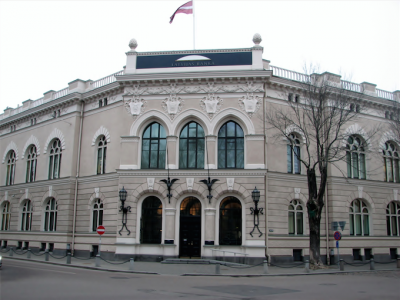 Latvia is now actively gearing up for the introduction of the euro after EU finance ministers recently announced the country's entry into the eurozone for January 1, 2014. Although Latvia has convincingly fulfilled all of Maastricht's criteria, some fear that existing tax benefits for holding companies in Latvia will make it into the new tax haven of the eurozone; what some have termed "the new Cyprus." And in some corners of this Baltic nation, a casual observer could be forgiven for thinking that the country is indeed trying to emulate that southern island. 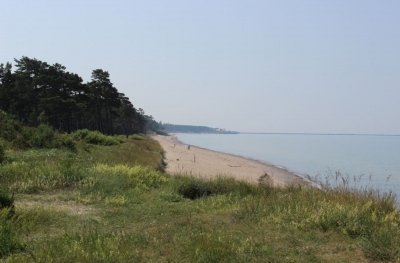 Every summer the glitz and glamour of show business makes tourists flock to Jurmala, a seaside resort about half an hour's drive from the capital Riga. For 12 years, the town has also hosted a song competition, "New Wave," whose participants include many aspiring singers from Russia and the former Soviet republics. A big red nose is the most important part of Anete's costume. The 22-year-old regularly dresses up as a clown to bring a bit of humor and support to children at a local hospital in Riga. 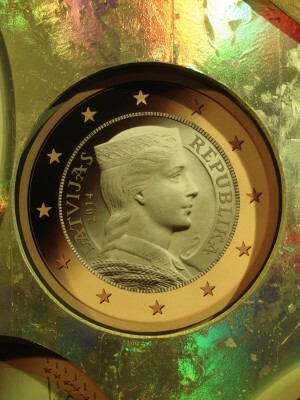 Will Latvians embrace the euro? EU finance ministers in Brussels have approved Latvia's accession to the eurozone. 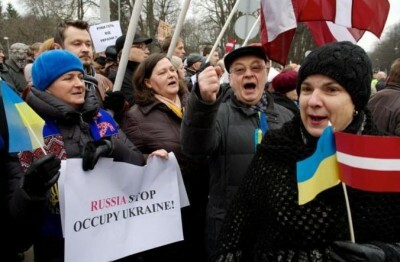 But most Latvians are not at all enthusiastic, and the government is struggling to boost public support for the idea. Latvia might be full steam ahead for its adoption of the euro in January 2014, but many ordinary Latvians are not at all happy about the news, confirmed at a meeting of EU finance ministers in Brussels on Tuesday (09.07.2013). 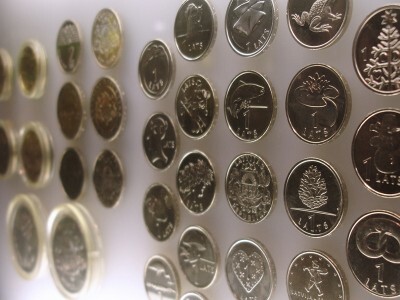 According to the latest polls, published in June, only 38 percent of Latvians support the introduction of the euro, though that is at least an increase of eight percent from the beginning of the year. Most have seen rising prices in other countries on the adoption of the euro, and fear the same might happen to them. In a growing but fairly new economy, many would prefer to stay with the country's present currency, the lats. 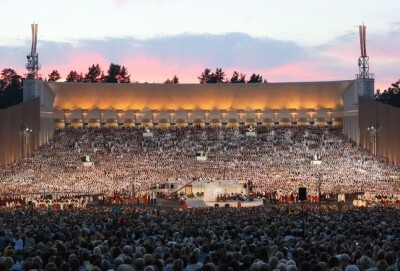 Latvia is holding it's Nation Wide Song and Dance Celebration. It’s an event which happens every five years and attracts thousands of participants, viewers and tourists to Riga. The festival begins on 30th June and will continue during the whole first week of July. There are going to be numerous choir concerts, dance performances, theatre shows and exhibitions. But it’s the singing and music which lies at the heart of the celebration. And as Ģederts Ģelzis reports from Riga, the song festival is more than just an old tradition for most Latvians. A report published by Latvia’s security services says that ethnic Russian children in the country are offered free trips to youth military training camps in Russia. The report says they’re being emotionally and psychologically influenced by ideological lectures and displays of Russia’s military might. Only around 20 teenagers have participated in the camps so far, but Latvian politicians see the training as a threat to national security. Restitution has been a long time coming, but now it seems that Latvia may be on the brink of officially recognising an historic injustice which strikes to the heart of its Soviet past. Historians estimate that there are up to 50 people in the country who have been forced into psychiatric hospitals during the 1960s to 80s. They were put away under false diagnoses for anti-Soviet beliefs and actions by orders of the communist leaders and the secret police - or the KGB. Though the Soviet Union broke up more than 20 years ago, the victims are still officially classified as mentally ill in Latvia. The pensioner Sandr Riga is one them and he shared his story with our reporter Ģederts Ģelzis. In Latvia, people forced into psychiatric hospitals between the 1960s and 80s because of their religious and political views continue to fight for justice. Soviet leaders and the Committee for State Security or the KGB targeted dozens of dissidents who ended up diagnosed as mentally ill, locked up at institutions and forced to take debilitating drugs. Although they were released from the hospitals, they’re still fighting to clear their medical records of false diagnoses. Some lawmakers want to amend the law to help these survivors but the measure is being held up by psychiatrists who want to conduct new examinations. Around half of all roads in Latvia are in a woeful condition, full of potholes and uneven surfaces because of insufficient funding and poor construction work. At the same time the number of cars keeps increasing. 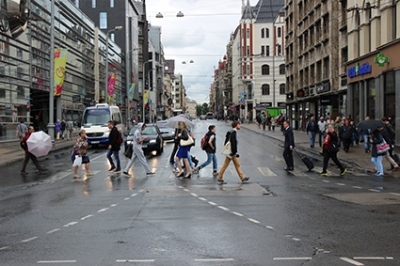 According to a recent report by the World Economic Forum, Latvia is ranked 98th among 140 countries for road quality. 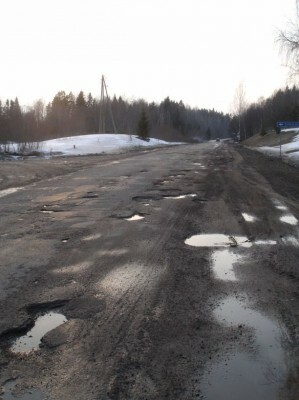 The bad roads have been a thorny issue for years and many Latvians are up in arms about it. The situation is particularly acute in rural areas where road conditions have become dangerous for drivers. 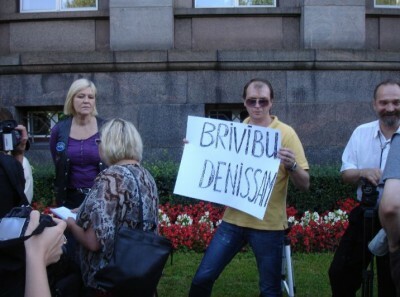 Latvians are left with no choice but to take to the streets in protest. We all hope the new technologies will help doctors treat various illnesses and that a lot faster than in the past, but cancer is still the leading cause of death worldwide. Most often patients are diagnosed with cancer in the final stages when it’s too late to treat the disease. And that’s usually the case with gastric cancer too. 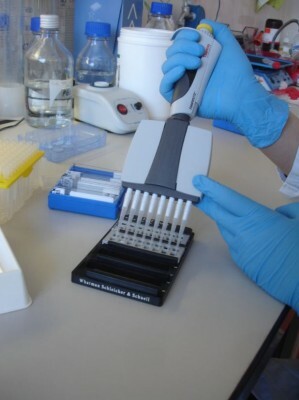 But that might soon change as Latvian scientists have invented a new method for diagnosing gastric cancer in its initial stages. It's over 20 years since Latvia declared its independence after the breakup of the Soviet Union. 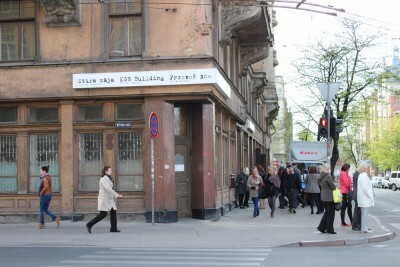 But one group of Latvians is still living with the mark of that past. They're those who wrongly locked away in psychiatric institutions after being diagnosed as mentally ill because of their anti-Soviet views and actions. And decades on that diagnosis still stands. Now, a Latvian politician wants to change the law so that they can clear their mental health record. But the victims don't want to have to undergo further humiliating tests. Now, each year around 4 million Europeans die of cardiovascular diseases and about half of all the people come from the European Union itself. That’s according to statistics published by European Heart Network – an association of health NGO’s across the continent. For instance, atherosclerosis is a condition when an artery wall is thickened and hardened by plaque – made up of fatty materials like cholesterol which restrict the blood flow. The disease sometimes requires patients to undergo surgery, to fix the affected blood vessel with a prosthesis. Now, a Latvian scientist has developed a unique method how to create a blood vessel prosthesis which can even pulsate. Another report now about money, but of a far different shade. 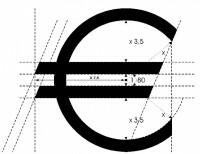 In Latvia the government is looking to introduce euro on 1st January next year. The tiny Baltic nation which only recently emerged from one of the worst recessions in all of Europe is set to ask the EU for the green light to adopt the euro. 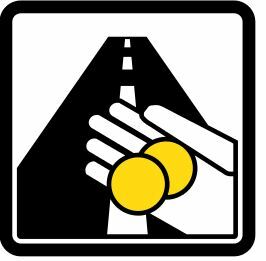 There might be just one problem there though – Latvians themselves don’t want to give up their own money - the lat and santims which translates as dollars and cents or pounds and pence, you get the drift. When the global financial crisis hit in 2008, the Baltic nation of Latvia was one of those deeply affected by the economic recession. In response, Latvia introduced severe austerity measures which have helped the country to return to economic growth. Both local and international politicians now praise Latvia as a role model for recovery and say that the economic crisis is over. But a recently published study by Latvian investigative journalists shows that the government’s decisions during the recent years have driven many into poverty. Latvia is now the fastest growing economy in the European Union after having gone through the deepest recession in all of Europe during the financial crisis. Back in 2008, Riga received a bailout to help pay its bills and deal with its declining GDP and rising unemployment. In exchange, the government was forced to launch a severe austerity drive and now Latvia is graduated from its bailout and is being hailed as a success story. But if Latvia is a success story, it does make you wonder what constitutes failure? A team of Latvian journalists has just published a study showing that the poor in this tiny Baltic country are poorer than before the crisis because they bore the burden of the country's austerity measures. Our Riga correspondent Ģederts Ģelzis met with a single mother whose story corroborates that study. 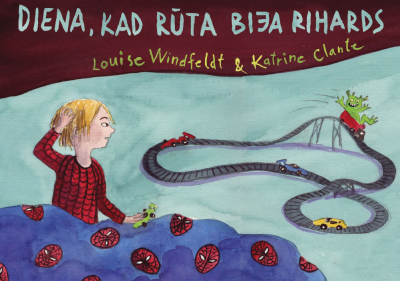 There's a heated debate underway in Latvia as to whether pre-school children should be taught about gender roles. The government’s launched a pilot study that encourages teachers to discuss the roles usually associated with men and women. It uses a new children’s book which officials say will enable boys and girls to discover their true talents regardless of gender stereotypes. But a number of NGOs are furious about the book saying it will endanger the traditional family. Although it will soon be seventy years since the end of the Second World War, Latvia and Russia continue to quarrel over their past. 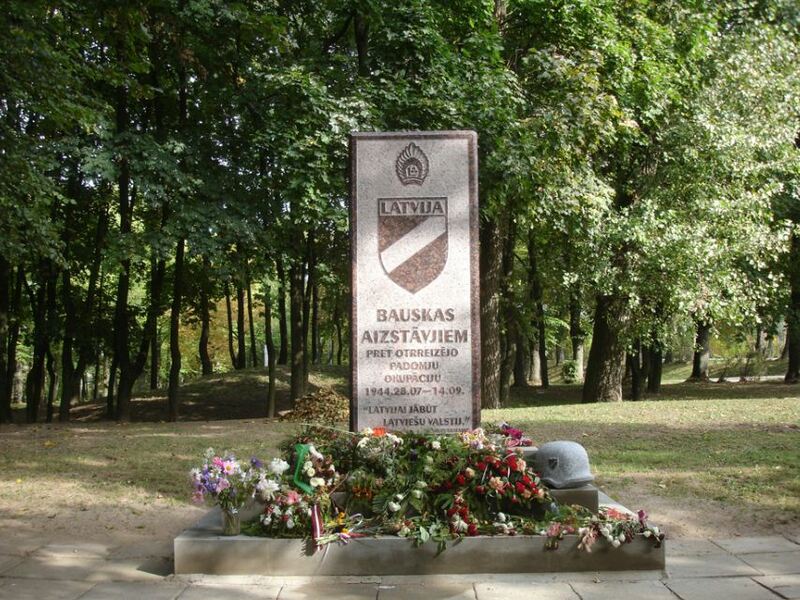 This came to the surface last week in a small Latvian city of Bauska where a monument was dedicated to the people who stood up to the Red Army when the Soviets invaded Latvia in 1944. Bauska was one of the only cities to do so and most of the 300 hundred people that stood up to the Soviets died in the battle. 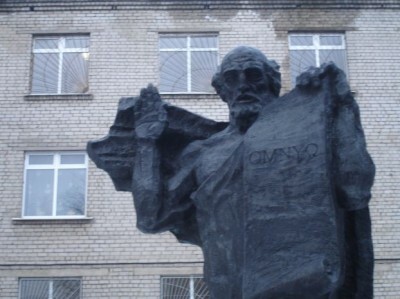 The monument that’s going up in Bauska, however, has angered Russia. Because, the Kremlin says, it glorifies Adolf Hitler’s Nazi regime. You see, Latvia was occupied by the SS when the Russians invaded and the people who fought against the Red Army in Bauska were technically under Hitler’s control. The Bauska controversy highlights the persistent problem of history in Latvia, especially for the Russians living there. The Latvian government is trying to decide how to prevent people from emigrating. Last year around 23 thousand people left Latvia, most of of working age. This mass exodus began four years ago when the country’s economy was hard hit by the financial crisis and painful austerity measures were introduced. Now, in order to prevent the continuous drain of labour force, politicians want to introduce a special jobseeker’s mobility allowance. They say it will enable the unemployed to resettle in parts of the country where they can find new work. But critics say it will mean a final nail in the coffin for remote rural areas. As London gears up for the Paralympic games, a controversial court case is highlighting the plight of those caring for disabled people across Europe A Latvian woman has taken her case to the European Court of Human Rights after she gave birth some years ago to a child with Down’s syndrome. She wasn’t aware of the disability when she was pregnant because the doctor hadn’t ordered a prenatal screening test. Claiming that her rights were breached, she launched a legal battle for compensation. But as Ģederts Ģelzis reports from Riga human rights groups are up in arms. 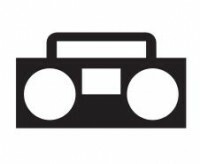 There’s a debate underway in Latvia about whether you should have to pay to switch on the radio in public. According to the country’s copyright law, people have to get a licence whenever they play a radio in public. If they don’t, they might have to pay a fine of up to 700 euros – even if they’re simply listening to the radio in their office while they work. 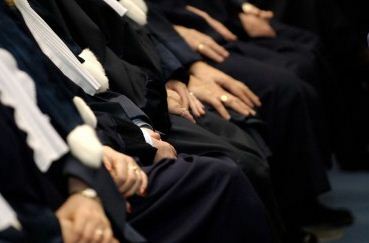 The country’s parliament has just decided to reduce the minimum fine for violating this copyright regulation to just 2 euros from the beginning of July. But it won’t prevent people from being charged a lot more. Latvia is trying to stamp out corruption in healthcare, in particular, the practice of so-called gratitude payments to doctors. It’s been illegal for doctors to ask for and accept money on the side from patients since 2009. But it remains a common occurrence. Now politicians want to change the law and shift the responsibility to patients. Under the proposed legislation patients would be punished for giving money illegally to doctors. But as Ģederts Ģelzis reports from Riga, many are sceptical that this will end the practice. Will start today with renewable energy and, specifically, with the sunlight which is used to generate electricity through photovoltaics. 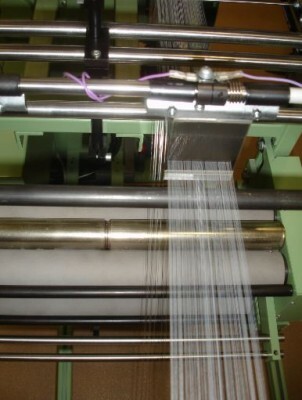 It is a process when photons – the components of sunlight – are absorbed into a solar cell of photovoltaic panel to produce power. The PV panels are becoming increasingly popular in the world, especially in Europe. According to the European Photovoltaic Industry Association, the global growth rate of PV has reached almost 70 per cent in the previous year. 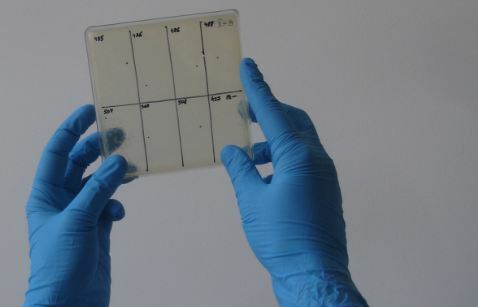 Now, scientists in Latvia have developed a new technology which boosts the efficiency of the PV panels. A high-tech company has designed a special coating on glass used in solar panels and it can increase the output of electricity by almost 6 per cent – a significant number for those in the industry. 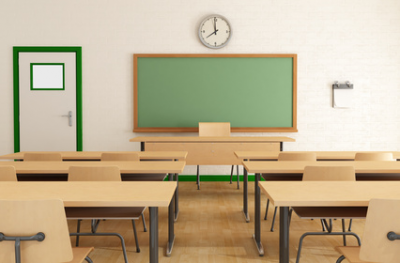 When it comes to safety at schools, universities and other institutions, there are various technologies where you have to use a card or a chip in order to enter the building or get into a room. But one month ago, two Latvian companies – an Internet start-up and an e-ticketing operator - presented a combined safety feature that includes a public transport card with an access card. In order to get in the school, the pupils have to swipe their e-ticket in front of turnstiles installed at the building’s entrance. All of this has come as a result of some security concerns at Latvian schools. But with the legacy of Soviet surveillance looming, not everyone is thrilled about this new attendance monitoring system. Many ethnic Russians are still living in Latvia - after having moved there in Soviet times - and they are fighting for recognition of Russian as an official language. They collected enough signatures to force a referendum on the issue - scheduled for February 18. Observers say the initiative is doomed to fail, but political factions have been using the vote for their purposes. And this is posing some difficult questions regarding Latvia and its future.